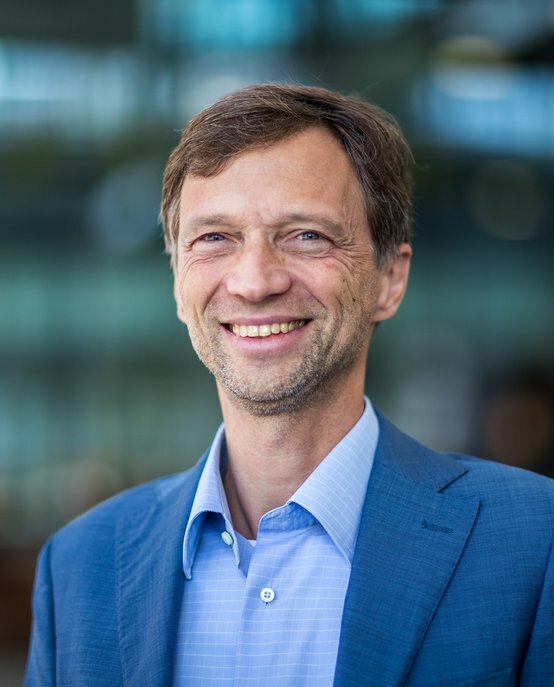 Andrea Fiore is a full professor and group leader of the Photonics and Semiconductor Nanophysics group, Eindhoven University of Technology (TU/e). His key areas of expertise include nanophotonics and quantum photonics. Andrea’s research interests are in the field of nanophotonic devices, particularly nanoscale light sources and detectors, nanolasers, and integrated optical sensors. Recently, his group has focused on integrated nano-opto-electro-mechanical systems (NOEMS): using the combination of electronics, mechanics and optics to achieve novel functionalities. One practical application of this research is a fully-integrated spectrometer, which may be integrated into a smartphone to measure the properties of a material (e.g. food) from the reflectance spectrum. Research is also aimed at controlling light-matter interaction at the nanoscale for improved nanolasers and quantum light sources. Andrea Fiore holds a PhD degree in Optics from the University of Orsay, and has previously worked in Thales Research and Technology (Orsay, France), at the University of California at Santa Barbara, at the Italian National Research Council (Rome, Italy), and at the Ecole Polytechnique Fédérale de Lausanne (Switzerland). Prof. Fiore has been the recipient of the ‘Professeur boursier’ (Switzerland) and ‘Vici’ (The Netherlands) personal grants, and has acted as principal investigator in several national projects, team leader in six EU projects, coordinator of EU-FP6 project ‘SINPHONIA’ and of the Dutch FOM national program ‘Nanoscale Quantum Optics’. He has been awarded the 2006 ISCS ‘Young Scientist’ Award (International Symposium on Compound Semiconductors). He has coauthored over 150 journal articles and given around 50 invited talks at international conferences.